Savage gear is one of the most successful fishing brands on the German market the brand to the Danish, but what makes founder Mads Grosell so special? Mads began his fishing career at a young age and was, like most of us, after the first successes of the catch fire and flame for the most beautiful thing in the world. The CARP fishing scene, in which Mad was, more than 20 years is very committed and innovative traveling became aware of the fishing industry on it. Now 36 years old, he founded his own company (DD bait). Its products enjoyed great popularity, which is why the Danish company of Svendsen sport A / S DD bait purchased on. Mads, meanwhile, was blamed for the strengthening of the Karpfensport sector of the company. He managed it with the brand of ProLogic. According to the branch of the company moved in a different direction. germinated in 2004 to develop the idea on your own fish bait, the he eventually under the sub-brand of savage gear brought out. First came the 4play, freestylers, Rattle Shad and the Rattle Smolt on the mark and this bait will find today cakes. The then still small brand evolved so rapidly that there are already millions of sales soon 42 countries in just a few years. After is further expanded in the future the international sales and new areas opened up. To may, include present themselves attractively in the fishing industry of course also Pro staffer (team-angler) to which serve the company as a figurehead at events and in the social networks. The SG team in Germany include Fred Kotowski of Lake Plauer See, Christian Wieneke from Hamburg, Robert Leu of the Schwerin Lake and Michael Kratzer from Lake Constance. For me it is especially Mads and his team, the savage gear make something very special! For a possible natural look of this bait series have become the designer of savage gear the 3D-Scan-Verfahren turned into equity. A nearly identical image were among others scanned crabs, shrimp, and the nymphs of mayflies, which result in an elaborate process! The plastic is polyvinyl chloride, PVC short, in its basic form stiff and fragile, therefore are plasticizers and stabilizers added to pour a soft and malleable rubber. The TPE material (TPE = temperature elastomer), has a similar strength such as natural rubber, but resembles it in its flexibility more PVC (polyvinyl chloride). These properties enable a very long shelf life. I personally noticed hardly wear even after several fish. Should it happen yet, losing a bait such as a leg (happens in nature as well), it seems to have no noticeable effect on the Fangigkeit. On the contrary, the soft and yet resistant material is so close to the original, the fish very long keep the bait in its mouth, without realizing that there is no real prey. Another highlight for this bait is equipped with one of a temperature-dependent shape memory effect (shape-memory effect). This allows the rubber imitations to heat back in the original form to return. A nymph is the larvae of different arthropod (arthropod), in this case the Ephemeroptera, long known as may – or mayflies. Its Latin name is composed from the Greek word ephemeros (day) and pteron (wing), but the wing form until completely in the final stage of their development and be visible. The term “Nymph” comes from the Greek and means something like bride, marriagable girl or young woman with ‘young’ at the mayflies is relative. Their life expectancy is just a few minutes up to a maximum four days. The larvae in the water, only spend their short existence, which is why they are on the menu of many hoherklassiger aquatic organisms. We fishing can make us this benefit, because also predators and even white fish like Dobel and tench, do not miss the snack. You can see clearly through the 3D-Scan-Verfahren the large compound eyes, mouthparts and limbs as well as the abdomen threads, which are three times at each Central European mayfly genus, with one exception (Epeorus). It is very natural looking colors complete the bait. Not much need to give a seductive game the bait. Agile legs work in the raise and lower all alone! Yet one can live more nymphs with light strokes of the rod (twitching) absorb. The bites aren’t usually in the descent phase, as is often customary with rubber imitation, but when the bait on the bottom. The fish take the larva also still for several seconds on, therefore the nymph can be stored even longer on the ground. As “Shrimp”, or in German also “shrimp” is often the family of the scourge prawn (Penaeidea) referred to. Include but not, as is often assumed, the shrimp of the North Sea and Baltic Sea, belonging to the family of Crangonidae. Since both families but very similar, shrimp, as well as which are the fly 3D hybrid shrimp, excellent bait for our domestic coastal and lagoon waters, as well as the salt-rich estuaries. There’s hardly a species of fish in these waters, whose menu shrimps are not to be found. The shrimp can be done just like the nymph, but I did experience that the bait at fine and fast Twitch bewegungen is absorbed particularly fond. 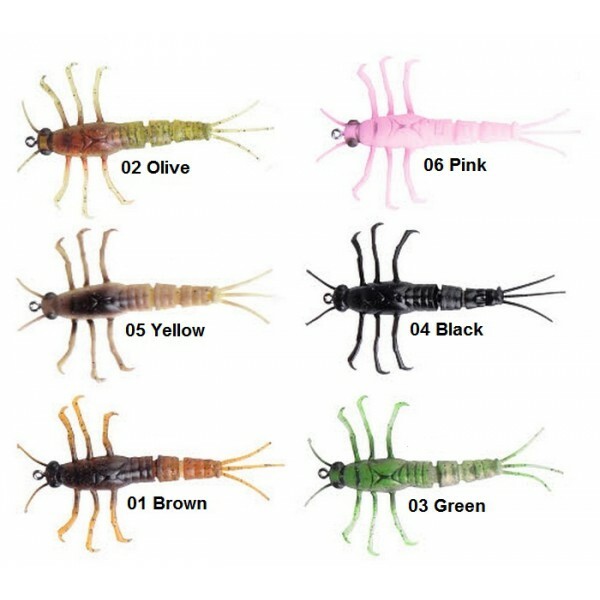 Both bait, both the shrimp and the nymph can be fished on the fly rod or jumper fly on spinning rod. For this, you can stick it easily on a finished fly. Also the light Drop shot fishing, jigging, fishing with Carolina and Texas Rig and various other rigs come in question. 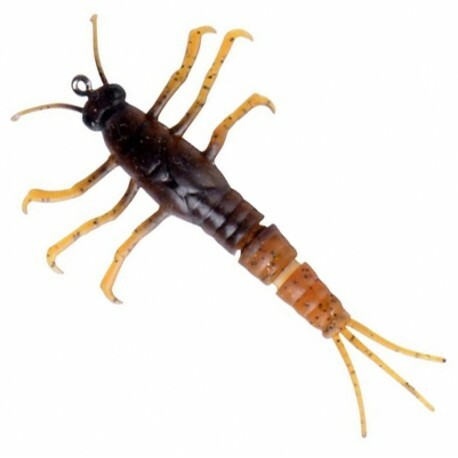 The hybrid is as surface bait shrimp has been developed, which however is not swimming, but glides slowly to the ground. He swims in the descent phase forward with tempting move his legs and barbels (from TPE-material), and radiate an added attraction. 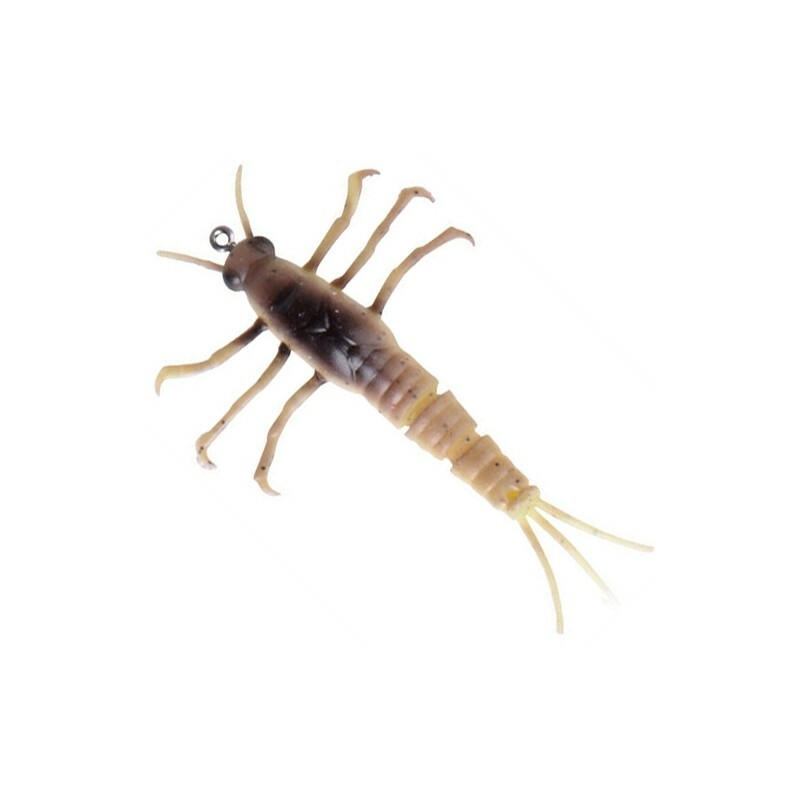 Tip: With a piece of adhesive Dackdeckerblei which are attached to the bottom, can you fish hybrid shrimp even close to the ground and in the mean sea level the. The manic shrimp manic (manic, depressed) Creature Baits is most closely related to, but there are a few special features. 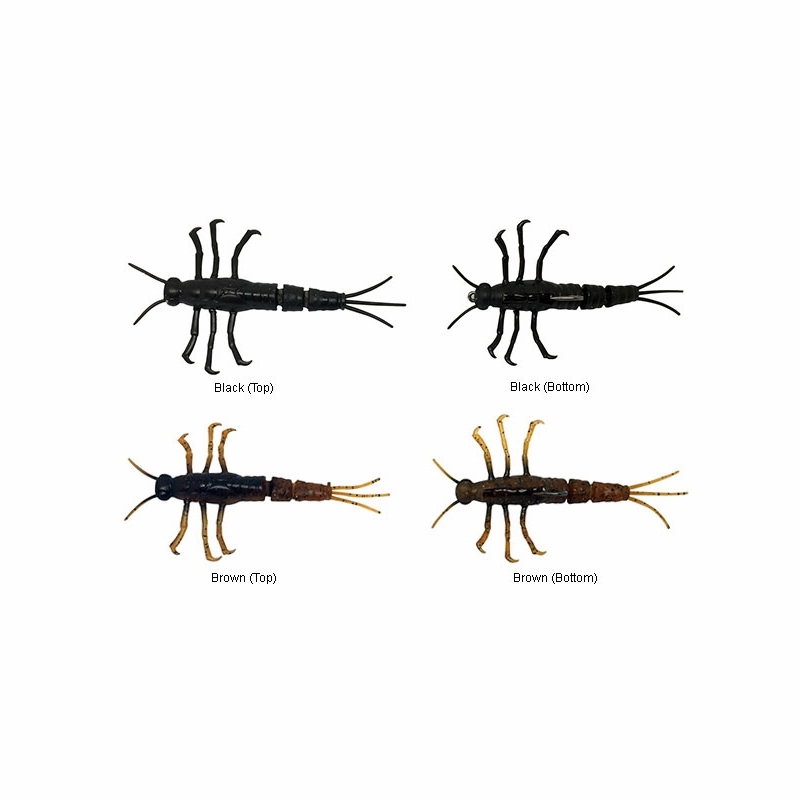 The cylindrical-shaped front legs let the bait at slow bringing up How run a real shrimp what fish do not distinguish from a natural movement. 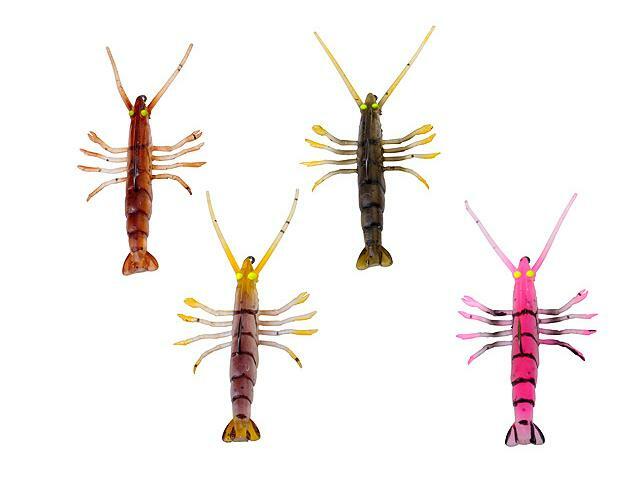 The enclosed shrimp flavor and very natural looking in the water colors cause the rest. What techniques and montages you used depends for this lure many common factors (season, water – and visibility, light…), I will go into that in another article. You wrong, but doesn’t matter anyway if you fish the manic shrimp at a slight Jigkop, Carolina – or the Texas rig. Her most closely mimics typical movements of shrimp by you give the bait lightly with the tip of the tail, short pause and then repeats this. 3D crayfish is, as the name implies, a crayfish modeled after. So far nine species of crayfish (Astacoidea) were detected in Germany, but only three indigenous (native) species include. Still in the 19th century belonged to the European Crayfish (Astacus walchensee) the most common types of cancer in our waters. The stocks have primarily due to water pollution, Habitat loss, and the crayfish plague, by invasive species such as the North American c Kamberkrebs (crayfish limosus) dragged a has been greatly reduced. The invasive (immigrants) have spread out so strongly that they now fully have displaced our native species in most of the German water systems. From the perspective of an anglers no disadvantage, because with many predators, crayfish are still a popular prey! 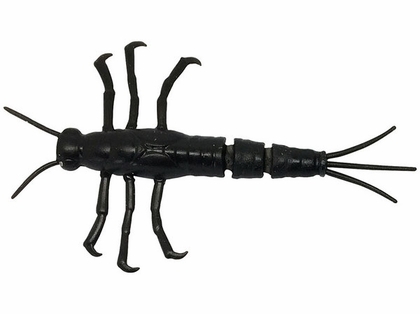 The 3D crayfish of savage gear has become one of my absolute favorite bait for me! Last but not least the really good catches of this bait have convinced me, but also its flexibility. 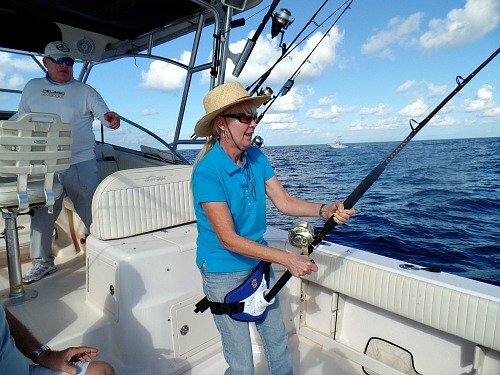 It can be fished at all known rigs, but also on an offset hook in green areas, free line or the surface, so you can adjust himself with only a bait quickly to different water properties and different target fish. The scissors are air filled, what with the stopping of the bait the defensive behavior and during retraction of the bait perfectly mimics the natural movements of a crab. The head is filled with air, what allows to move very slowly through cabbage fields and through obstacles or him unbebleit on the site to leave. 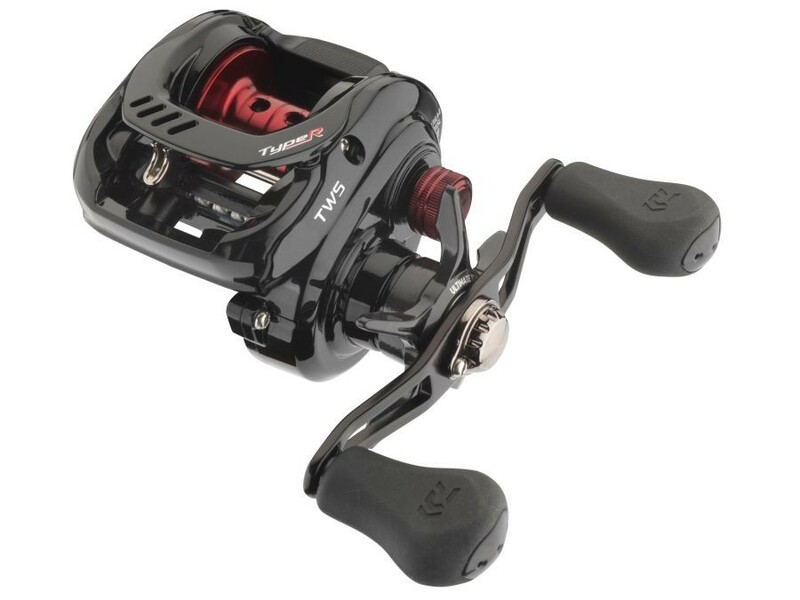 Perfect for the bait stand up jigs are suitable, the savage gear are also offered. I prefer fish the crabs as the trailer (trailer) on a Chatterbait. what works great especially when Pike, perch and trout. Crabs are active in particular in the twilight and night, but the bait also works when it is dark or as bright as day. An additional cancer fragrance to loss-leader effect trigger, which was added to the PVC material. 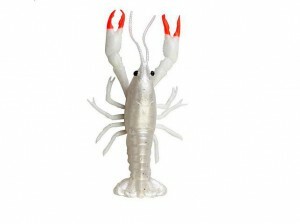 But the natural appearance and the coordinated colors make the 3D crayfish a must-have in any bait box!